Delhi has the most beautiful romantic side to it, what with its natural surroundings, its cozy and intimate nooks and corners and perfectly set ambiences! 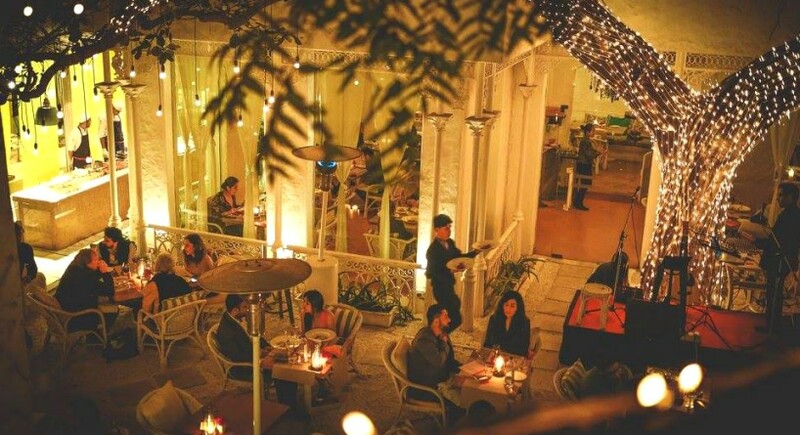 Here’s your go-to list of the most romantic, pretty and dreamy restaurants in Delhi that MUST be seen to be believed - read on! This is the perfect place for all those who’re looking for a nice, quiet and romantic meal with their loved ones. What makes this place perfect is its location & ambience. 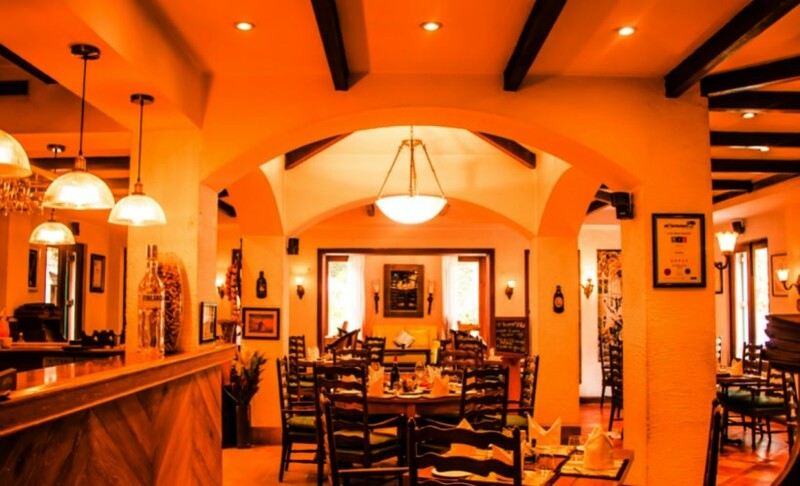 The beautiful Mediterranean décor, intimate atmosphere, great music and excellent food makes it one of the most romantic restaurants in Delhi - you have to come here at least once! 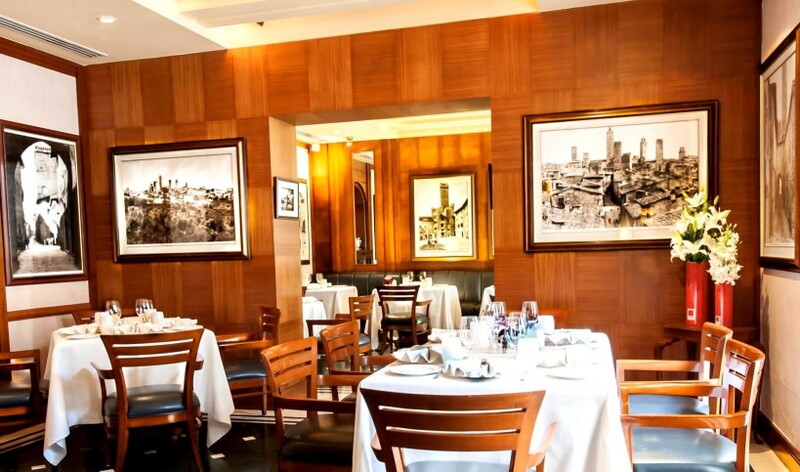 Now this one’s truly one of the most romantic restaurants in Delhi. Whether you’re on your first date or whether you’re celebrating your anniversary, Sevilla will not disappoint you - EVER! They have a great selection of champagnes and your date will definitely be impressed with the Spanish food flying around here - come along and be dazzled! Fio definitely offers the best atmosphere for couples with its intimate and cozy nooks and corners. 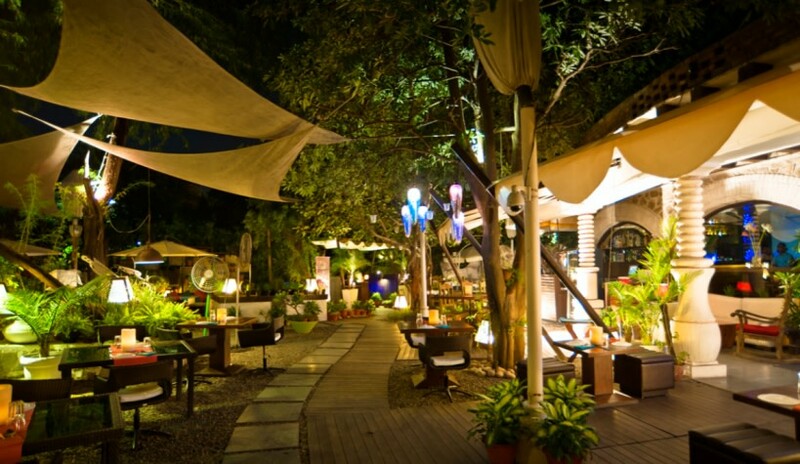 It’s tucked away in the quiet and lovely Garden of Five Senses in Saket, giving you a nicely rustic and natural ambience to enjoy in. 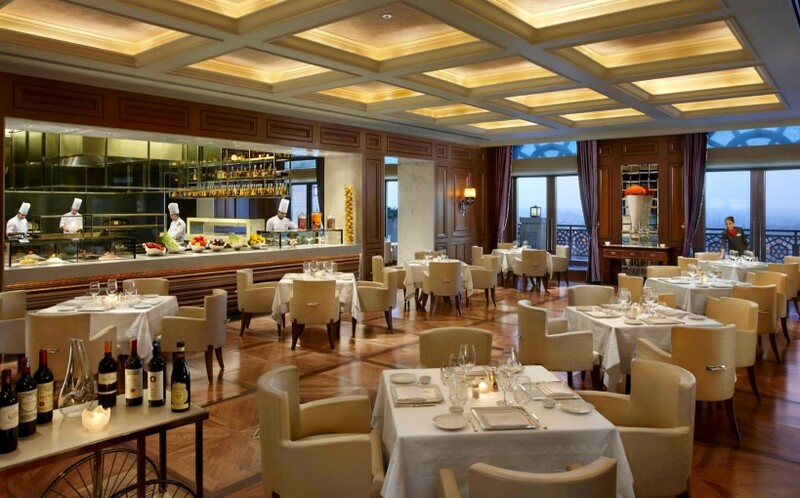 Besides the great ambience, you will also love the mouth-watering Italian & Indian cuisine found here, trust us! Tonino transports you straight to a Tuscan villa located in the passionate and romantic country of Italy! Once you enter the gated property of Tonino, you enter a romantic haven which is marked by paved paths, louvered windows, pink-washed walls abounding with green foliage, and a picturesque verandah seating. It serves authentic Italian fare, just perfect for your date night! 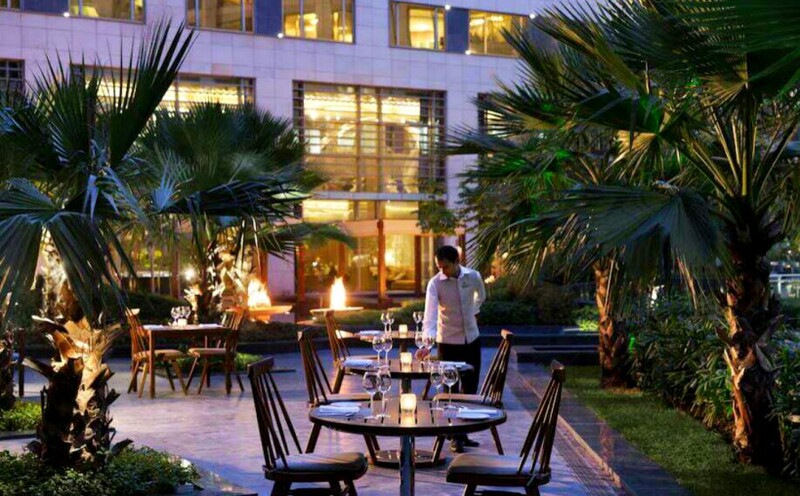 West View, located in posh ITC Maurya is a rooftop restaurant offering breathtaking views of Delhi&apos;s expansive green belt and is a must visit with the love of your life! 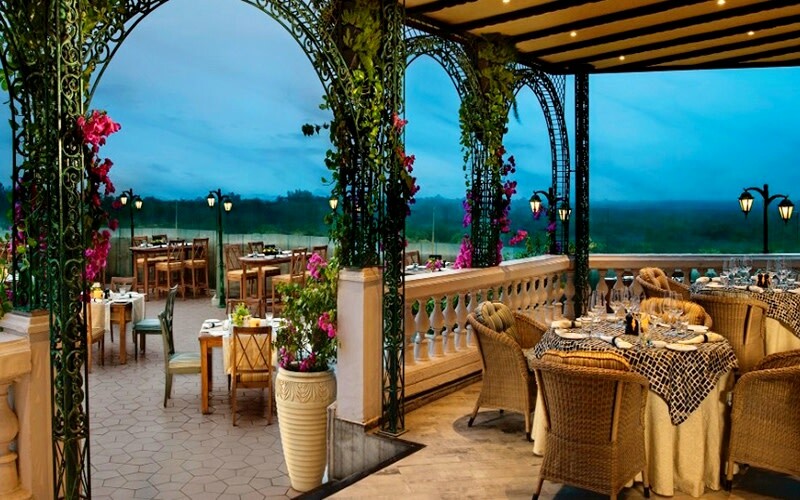 The restaurant offers irresistible contemporary Western cuisine, an extravagant choice of grilled meats, fresh garden produce and breads straight from the oven. Wow! Thai High is a great place to be with your loved ones owing to its intimate surroundings - it’s spread out on three separate floors, so there’s lots of room here. The rooftop views of the Qutub Minar offer an unrivalled and unforgettable experience coupled with lush greenery and screened cabanas. 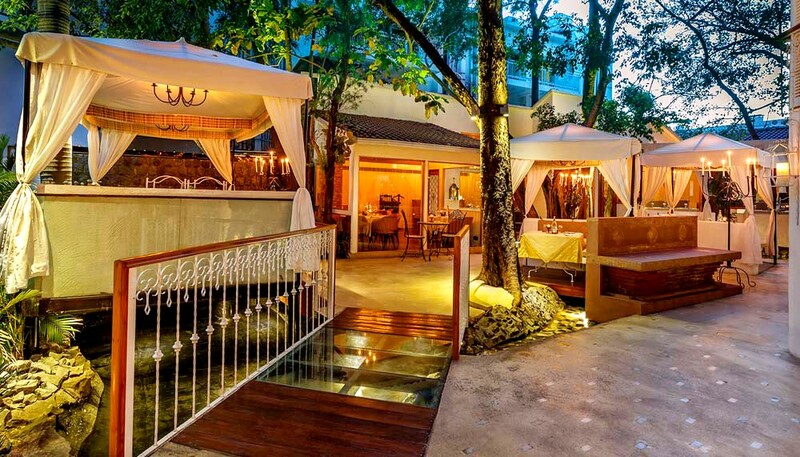 The place serves authentic Thai delicacies, so head on over RN! If you’re looking for a true-blue fine dining experience to spoil your sweetheart rotten, then look no further as Le Cirque is the chosen favourite! The first Asian outpost for the iconic French-Italian New York restaurant, it’s known for its faultless service and food (classic Italian and contemporary French) and also offers pretty alfresco seating for a dreamy meal! San Gimignano is a quaint little cozy restaurant serving authentic Italian food and is best known for its mesmerizing outdoor patio done up ethereally in white where you can enjoy a quiet and relaxed meal with your bae. The ambience is elegant & surreal with great attention paid to detail and impeccable service, so do swing by here for true gourmet indulgence! 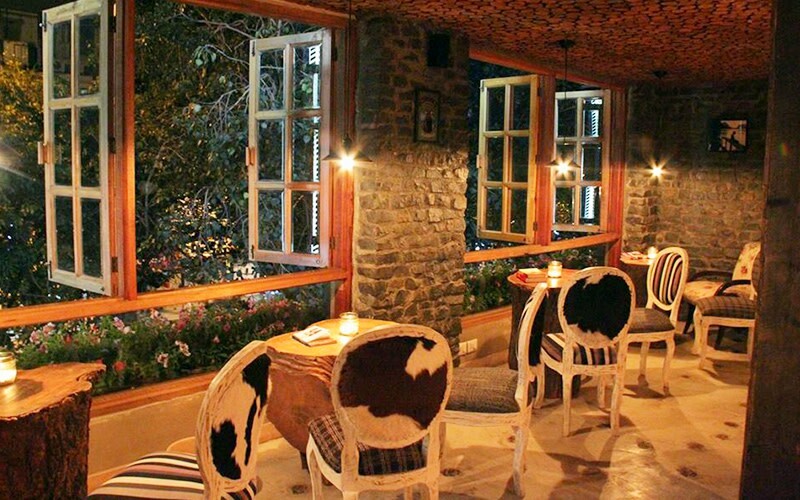 Large, pretty wood-trimmed French windows dotting the thoroughly cozy, pretty environs of this cute restaurant nestled in Mehrauli, Lavaash By Saby is another great pick for a relaxed, intimate evening out with your bae. The most popular delicacies you could order here are the Lavaash Fish, Prawn Claypot Casserole (wow!) and Roasted Chicken Bucket with Lavaash Bread. A culinary fiesta with a side of romance - come check it out! Thick wood-blocks making up a rustic roof, raw, glowing bulbs suspended from the ceilings giving off pretty bursts of lights and a rustic, mountain-cabin feel complete with fireplaces - welcome to the hilly haven we call Music & Mountains! Enjoy a plateful of their mouthwatering Sherwood in Sherwood Salami Pizza (with their awesome BBQ sauce), not to mention endless glasses of their Mountain Sangria which is basically pure love in liquid form! 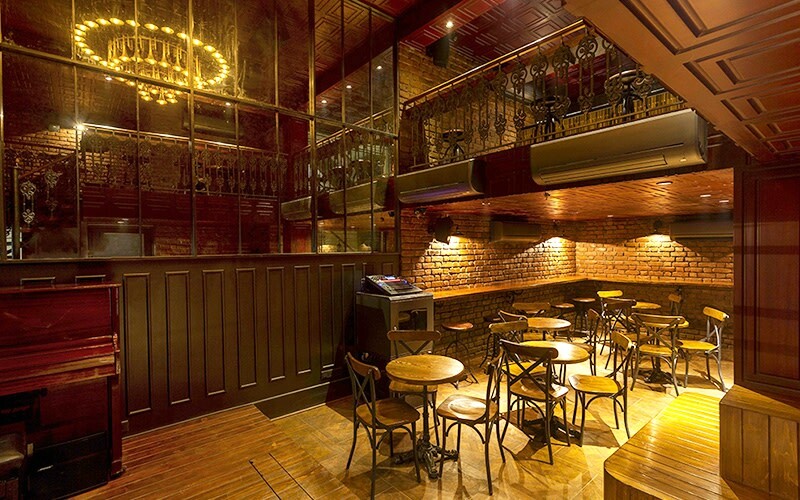 The premier, most awesome place to drink in some fancy jazz music in our opinion, The Piano Man Jazz Club exudes chic, glittery and retro vibes from the fingertips down! With a mammoth saxophone-studded chandelier dominating the space, you could catch some great blues hand in hand with your beloved here. Trip on their yummy Southern Fried Chicken Wings and Mac and Cheese Fritters while you’re downing some Whiskey Sours! Named after the famous Japanese Chef Akira Back, this place is extremely popular for its luxury dining experience and authentic Japanese cuisine. Akira Back is divided into two floors, the upper floor serving Japanese and Korean delights while the lower floor offers a wide variety of liquor to chug with your bae. 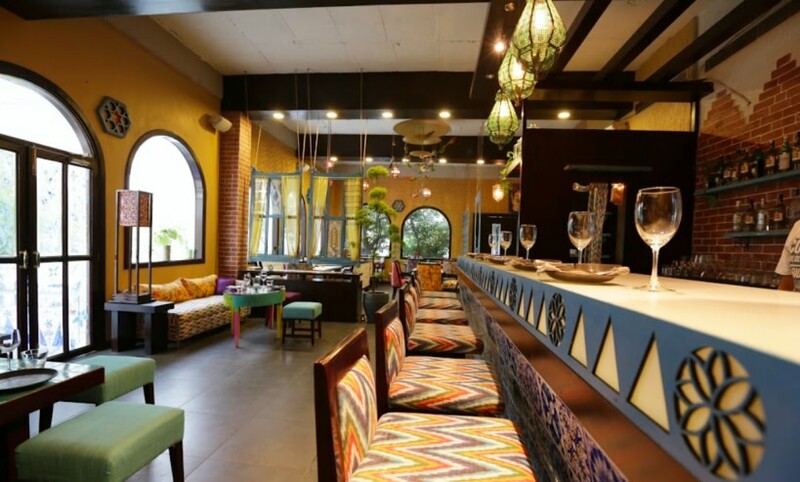 The comfy interiors and the cheerful vibe along with these culinary delights make this place an ideal place for date! Already lovestruck at the thought of all these awesome places you need to go to? Pick a spot, make your dates and come on over!